Over their four-decade career, Blue Öyster Cult have established themselves as one of the most iconic bands of their time, with a repertoire including the hits ‘(Don’t Fear) The Reaper’, ‘Godzilla’ and ‘Burning For You’. Following their highly-acclaimed performance at last year’s Stone Free Festival, which saw the band play their eponymous debut in full, Blue Öyster Cult will play eight dates, starting in Norwich on February 21st and finishing in Manchester on the 1st March. 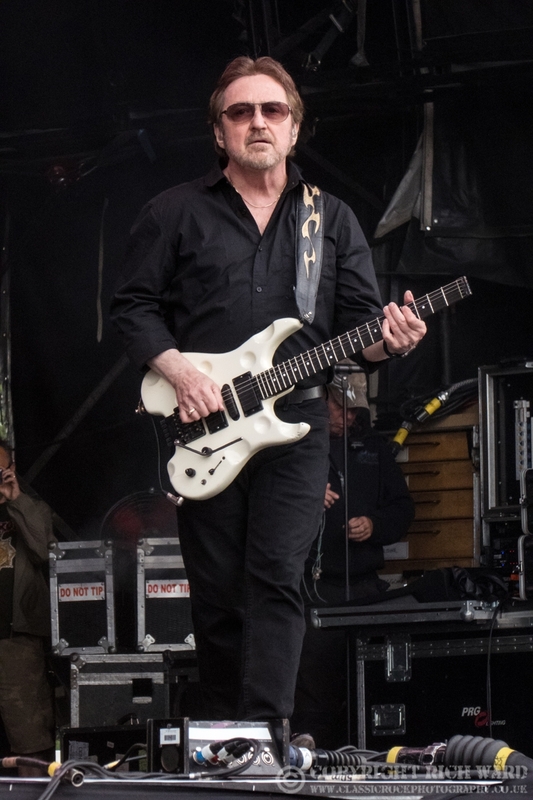 Guitarist Buck Dharma took some time out to answer some questions ahead of the tour. Are you looking forward to coming back to the UK? What do you most enjoy and how does playing here compare to back home in the States? What are some of your favourite memories of playing in the UK? Any previous shows that have always stuck with you? If at all, how have you adapted and developed your live production and your approach to playing your music live over the decades? (Don’t Fear) The Reaper is such a great track that has really stood the test of time. How does it feel to have a song that is so universally recognised and loved, even in 2019? Has the song’s success continued to surpass your initial expectations for the track? A lot has changed within the Rock community since you first started, but are there any current rock artists that have impressed you over the last few years? Any albums you’re particularly enjoying at the moment? Your last studio album, Curse of the Hidden Mirrors was released 18 years ago – any current plans to make another record? You have worked and toured with the likes of Patti Smith, Randy Jackson and Alice Cooper over the course of your career – any highlights or people you still have on the wish list? You have been doing this for over 50 years now which is incredible! Having reached such a large milestone in your career, what inspires you to keep going and keeps you motivated? If you could turn back time, is there anything you would change or do differently? Finally, knowing all that you know now, what advice would you give your former self when first starting out, and what advice would you give to anyone wanting to be in a band now? B.O.C just a great band. Buck is a legendary guitarist. Should be in the R&R Hall of Fame. Awesome that there making new music,like to see them come to Boise ID! Still following BOC after al these years. Their real love for music continues to shine through every performance! Collaborate with me sometime Buck! Nice interview .. it’s hard to do a fresh piece on a guy like Buck who has done so many over the years..
Sure hope he does play more than a couple more years… Buck is special..